For the first time in its history, the NCAA has given College Hoops fans an in-season look at the projected Top 16 teams one month ahead of the Tournament. This preview shows us how the rankings translate to seedings by creating a potential bracket, one that will change over the course of the remainder of the regular season and the conference championships, but can at least serve as a guide to where your favorite team currently stands. Let’s take a look at the sixteen teams who, for now, hold the four most coveted spots in each region. 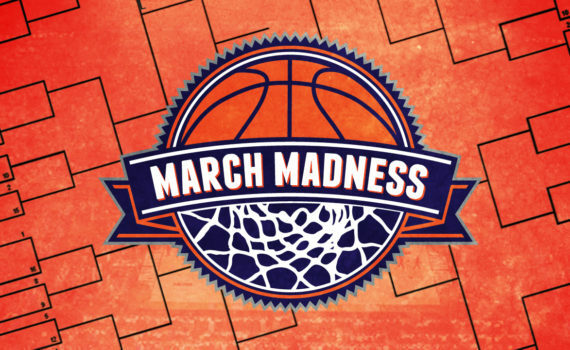 March Madness is a month away, but college basketball fans all over the country are preparing to root for their teams in each and every round, while they also prepare for four straight days of hoops, in what has become a veritable holiday weekend. These early projected rankings just fuel the fire even more, giving a taste of victory to the front runners, while those who haven’t cracked the Top 16 look on, with every win between now and the Tourney a major victory. And although it’s too early to fill in your bracket, this fluid, state-of-the-NCAA ranking system shows you the odds which your team currently holds. Villanova, Baylor, Kansas, Gonzaga; these four squads stand the best chance of reaching deep into the Tourney, at least as of right now, as the #1 seeds will face easier competition early on, earning them a momentum that could help propel a talented team all the way to the Championship. For the rest, all spots are up for grabs, as conference competition heats up, seasons come to a close, and the cream rises to the top to compete in what should be another amazing NCAA Tournament.